Thank you for choosing Southeast Health for your healthcare needs. For your convenience, you can now pay your statements online. 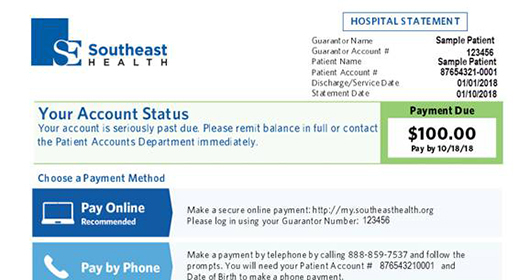 To distinguish between the hospital statement and the Southeast Health Medical Group statement, please look in the top left hand side of your bill. 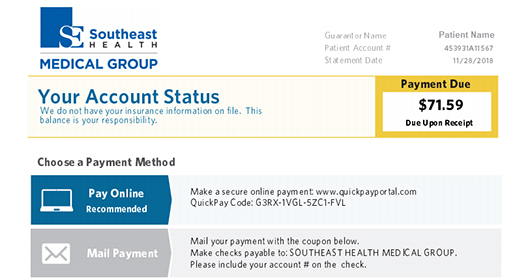 Click here to pay your Southeast Health Medical Group bill.